"McQ is all grown up grown up" says ELLEuk.com after Alexander McQueen's "little sister line" puts on the dramatic, theatrical performance we were all hoping for. 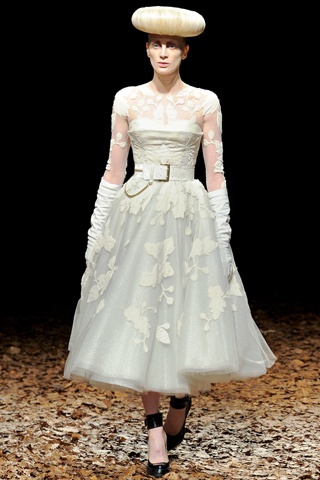 Showing on the catwalk for the first time ever, Sarah Burton has given the secondary line the breath of fresh air it needed with leather, lace and velvet, what more could we ask for in a fall collection? 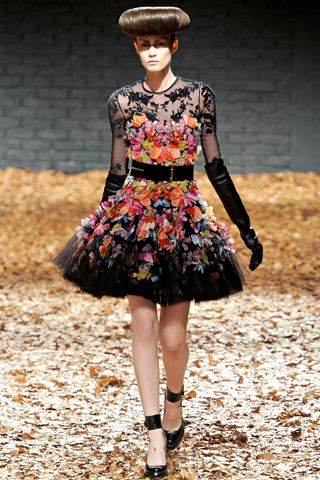 Gothic and glamorous, (just how I like it), McQ was simply stunning, breathtaking, beautiful. 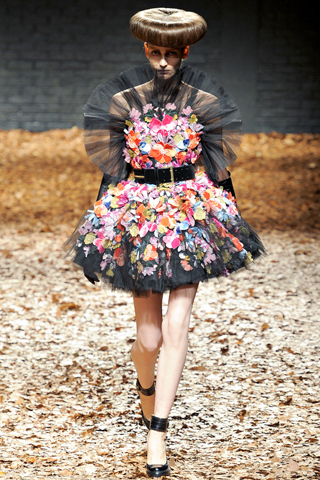 What was your favourite Fall 2012 show? Gorgeous collection! I know it's not really the point, but the hair in these are amazing! I always love seeing how they style the hair/make up to go with their catwalk looks.